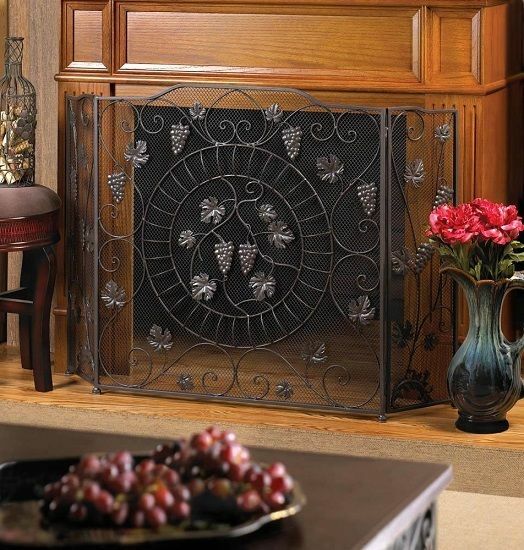 The fruits of a vineyards finest crop is cast in iron to create a beautiful screen for your fireplace. 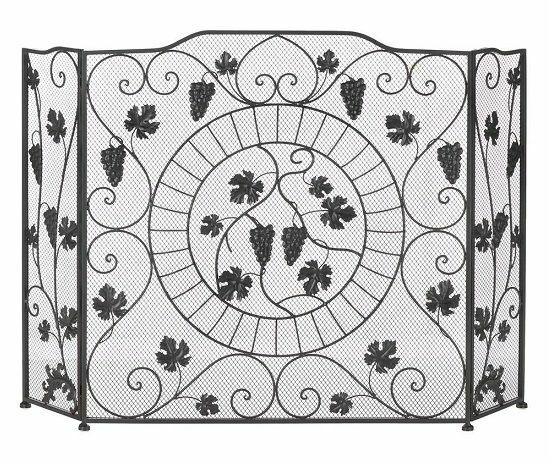 The flame will illuminate this screens fine details, from its scrolling decorative flourishes to its pretty grape leaves and fruit. The tri-fold construction allows you to form and fit this screen in front of your fireplace with ease and its beautiful finish will fit into any decor. Center panel: 28" x 29" high; each side panel is 7 7/8" x 27 1/2" high.